2012 SpringFest Celebrates 22 Years in Ocean City Md! Can you believe it?! 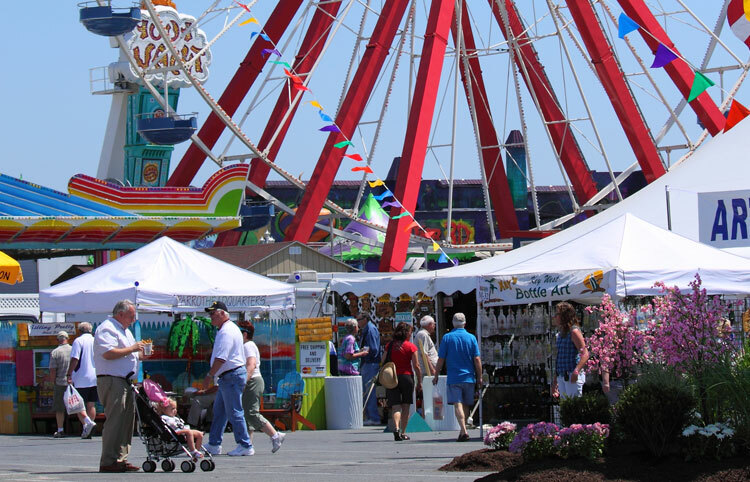 SpringFest in Ocean City has been displaying crafty goodness, feeding people with some of the best festival food this side of the East Coast and rocking those music tents for TWENTY TWO YEARS! If you have been living under a rock the past 22 years and don’t know what I’m talking about- then this is the year for you! May 3-6th the festival will kick off with the Fabulous Hubcaps. Their high-energy tribute music is one of the most popular bands in the Tri-State area, they are the oldies kings and queens! Then Saturday is a personal favorite, Mrs. Loretta Lynn. She is just a doll! Eddie Money and Survivor will also be playing that night, so it's going to be an amazing show! In the craft tents you will find all the coolest didn't-know-you-needed-that items. From flip-flop fly swatters to gorgeous iron sculpted lawn art, you will come away with perfect presents and home decor. AND THEN your certainly going to have to eat! I always go straight for the corn crab chowder- its just an Eastern Sho' staple. My grandfather however (they travel from the Baltimore area every year for this) goes for the much more riskier alligator on a stick! How fun is that?!! So do yourself a grand service and visit the four big top tents this May for 2012 SpringFest. You will find me- chowder in hand!